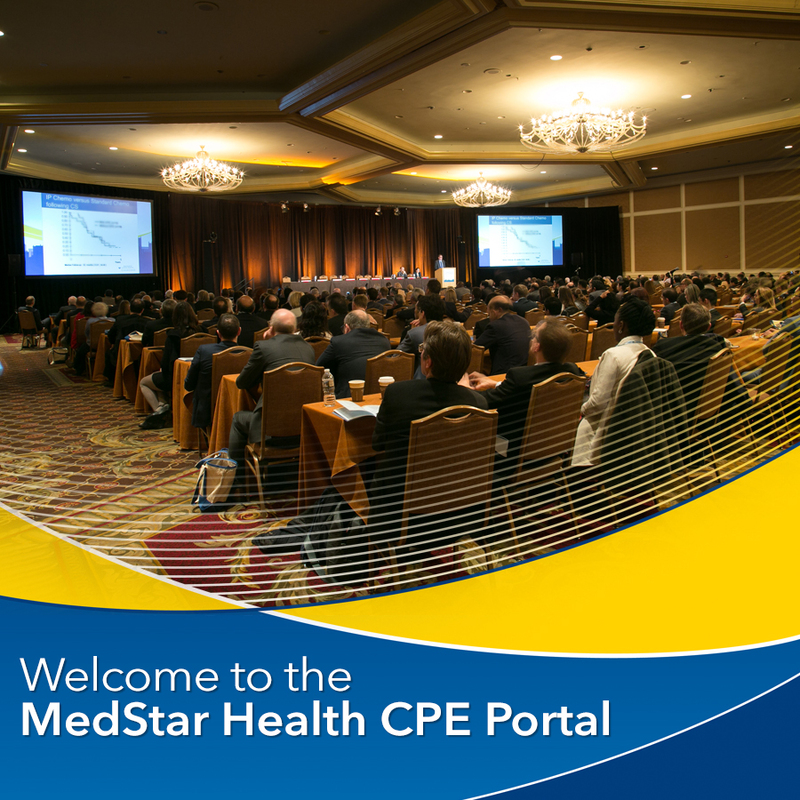 The MedStar Health Department of Continuing Professional Education is committed to providing the highest-quality learning opportunities for the healthcare team. For the best user experience, we recommend you access the CPE portal using Google Chrome. For assistance, contact medstarcme@gmail.com. June 6-8, Grand Hyatt, Washington, D.C.
September 14, Washington Marriott Georgetown, Washington, D.C.
September 21, Park Hyatt Washington, Washington, D.C.